On the occasion of Vijaya Daśami, I thought it is apt for us to explore some beauties of Goddess herself! For this purpose, I propose to take and comment upon few stanzas of a Rig Vēdic hymn, by the name, Śrī Sūktaṃ. This hymn is one of the daily invocations to be uttered for the purificatory purposes of the inner vehicles. First, we need to understand what a “SŪKTAṂ” is and who “ŚRĪ” is. Only after that can we dive into the beauties of Śrī Sūktaṃ. So, in this part-1, we shall explore the introductory details so as to form a sound basis for our understanding. After that, we can easily enter into the details of the hymn in the part-2. Sūktaṃ = Su + Uktaṃ, which means a Good (Su) Utterance (Uktaṃ). What is good and what is an utterance? The good we know is only of relative nature. That which is good for us may be bad for some one else. But, behind this relative nexus of good and bad, there is a string that acts as a connecting link, without which the whole relative existence will collapse. This thread or the connecting beauty is the “Absolute GOOD”, as spoken by Vēdās. How do we know? One may think this is my own view. But, in the vēdās itself we will see the verses which state “That which is DAY and NIGHT for you, is put together, a DAY for us; That which is GOOD and BAD for you, is put together, the GOOD for us, etc.” So, a non-dual approach will leave us with only ONE thing, and hence, it ought to be “Su”. English has no such word which can describe the depth in this “Su”, and hence, we have to stick with the word “Good”. A vēdic seer “utters” the hymns of the vēdās. We also utter many statements daily. What is the difference between a vēdic or a scriptural utterance and our daily conversations? The only difference is the “way of utterance”. If we can utter what we are uttering by not knowing (with the mind) that we are uttering the uttered, we will have uttered what a seer would utter. So, a seer becomes verily the utterance, and hence, in the highest state of “existence”, the utterance becomes a symbol of grand TRUTH which is nothing but his inner-self. The daily utterances that we utter, are covered with our own impressions and ideas, and hence, the utterance is not verily us, but it is of our mind. So, we need to train ourselves to elevate into the state of oneness of a seer before resonating with his utterance. One such attempt can be to daily utter the hymns and try to dissolve into the utterance by listening our own vocal sounds. This is the art of “Śṛuti Vidya”. When we dissolve, even if we utter once, the effects are easily experienced. But without the dissolution, even if we utter a million times, there is no use. This will answer the questions as to why “praying” sometimes helps and sometimes does not help people. It all depends the way they are praying. If they are praying to eliminate a pain, the object is pain and hence they meditate on pain (even though its elimination is the goal) rather than on the prayer itself. But, irrespective of pains and pleasures, if one prays for prayer sake, they would dissolve in the prayer and the whole scenario of situations will be according to the “NEEDS” of the person than the “WANTS”. This is the secret of ancient art of recitations – SŪKTAṂS. A person who is trained in this art of “True Utterance” will utter only TRUTH and that is why, many a time in our allegories we see how a seer utters a sentence and it manifests as a true incident. The hidden message is this! This word can be broken into its root syllables as: ŚRĪ = Śa + Ra + Ī. Each root syllable in Sanskrit symbolizes a meaning or potential state that would expand in its evolution, to a more refined word forms. The root ‘Śa’ is potential state of ‘PEACE’. This evolves to ‘Śaṃkara’ (one who causes peace), ‘Śāṃti’ (peaceful state of existence), etc. Thus, ‘Śa’ represents a state of SATTVA Guṇa. Similarly, ‘Ra’ is the root for agitation or something in constant ‘vibration’ — like ‘Rudra’ (lord of vibratory spaces), ‘Rōdasi’ (vibratory spaces), etc. Thus, ‘Ra’ symbolizes RAJŌ Guṇa. The ‘Ī’ is a vowel and implies that it has no support of consonant (i.e., it is equivalent to not having a physical body) and hence symbolizes a state of dissolution i.e., TAMŌ Guṇa. Thus, the word ‘ŚRĪ’ denotes the very primary triad of Sattva, Rajas and Tamō Guṇās. In its usage, ŚRĪ is used to symbolize, wealth, treasures, majesticity, splendors, etc. This is because, the three aforementioned aspects are the only treasures one is equipped with, without which, they will cease to exist. The physical Universe exists in its present state due to many forces acting and resulting to a balanced net force. For example, the centrifugal force (that which pushes), as seen from the rotating orbit’s frame of reference, and the Gravitational force of SUN, (that which pulls), cancel out and that is the reason for its balanced state of existence. If for example, one force is Rajas, then the other is Tamas. The balanced state is Sattva. The same principles apply even to the subtle worlds (Sūkṣma Lōkās) or the causal worlds (Kāraṇa Lōkās) as well. Even if one guṇa/force is not there or the other is in excess, the creation (the earth in our example) goes into chaos. The ONE goddess who is beyond these triple aspects as a balancing agent is the MOTHER. Thus, ŚRĪ SŪKTAṂ is a grand utterance of the splendors of the Goddess who will bestow us with the ray of wisdom, when it is resonantly uttered by us! This hymn of Rig Vēda consists of 15 stanzas. Each stanza vividly glorifies the beauties of the Goddess. When we say the beauties of Goddess, it does not only mean a physical glorification, but also implies the functional and subtle glories of HER roles in the creation. It is interesting to note how 15 stanzas, along with an ending stanza (tail) gives us a total of “16” which is the number associated with Goddess herself, with the name “Ṣōḍasī (16) or Ṣōḍasa Kaḷā Nidhi”. One can dive deeper on this aspect in my article on 31) Brick of Creation (sub section of diagonals). This hymn starts with “Hiraṇya Varṇāṃ…” i.e. with the syllable “Ha + I = Hi”. A counterpart for this hymn is Puruṣa Sūktaṃ which starts with “Sahasra Śīrṣā Puruṣaha…“, i.e., with the syllable “Sa”. Sa and Ha forms the base consonants of our breath as symbolized in my article 25) Universal Symbols. While inhaling, the sound of SA occurs at the tip of the nose. This “SA” is symbolic for what is “inside” everyone – PURUṢA. The sound syllable “HA” is uttered at the start of our vocals when we exhale. So, the “HA” is the symbol of that which is expressed by the ONE who is inside all i.e., HIS CONSORT – LAKṢMĪ or GODDESS. 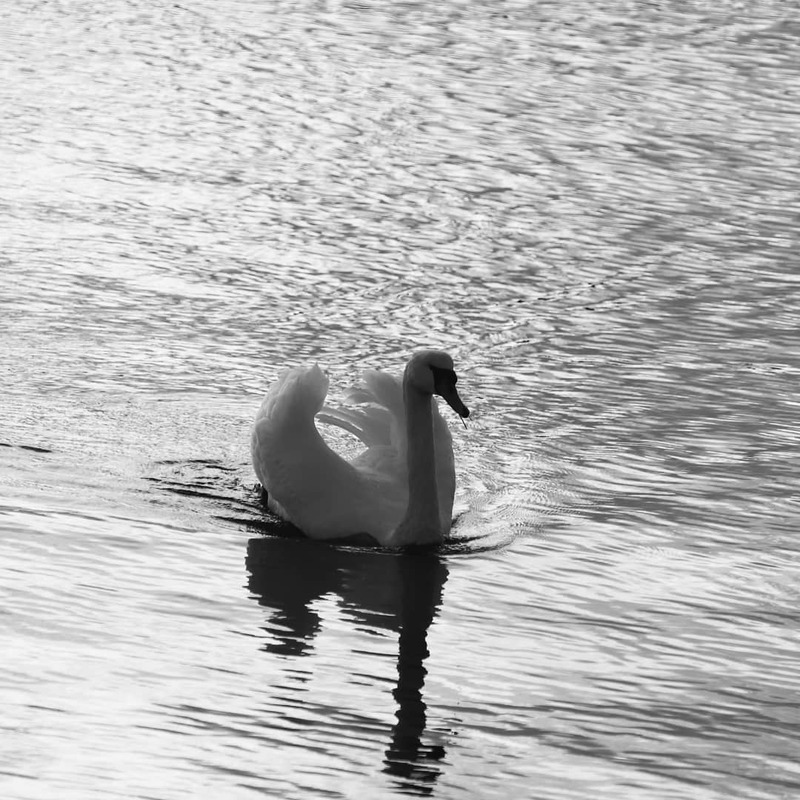 The union of both is nothing but our breath – SŌHAṂ (or the Sa and Ha combined with the potency of OM becoming So + Ham = SOHAM) represented by a SWAN in our symbolic allegories! That is why these suktās start with their respective syllables, and hence, also form a complementing hymns of each other! This is the secret, as expounded by Master E.K in his work of “Lessons of Vēdic Hymns”, which I find very interesting! This concludes the basis to enter into the hymn of ŚRĪ itself. In the next article, we will explore some of the stanzas of the hymn. Why are day and night put together is day? And same with good and bad put together as good. There is nothing good and bad per se. Our perspective makes something good or bad. Exactly the point. The good and bad exist for us and not to a “seer”. Seerhood is a state where good and bad dissolve into good alone, as you rightly pointed out as everything being Brahman. Similarly, day and night are relative to an observer on one half of earth, but in its absolute sense its all Day (light of divine). This is the import! Beautiful image. So serene and calm…we need to float through the ocean of Maya in this state. Yea… So true…! I captured this while I was on Sweden trip…. The royal pose of Swan just triggered many thoughts! One of those is as you justly remarked! When all is Brahman, how can something be good/bad? Also, everything being Brahman is a fact for a seer and a believe for a disciple. Unless we elevate to such a state, it is inevitable that the binaries exist. But they exist as two wings of the bird with which we need train to fly above them (or as u said float on waters of maya). So they exist and yet they do not! Well said! Unless we don’t see everything pulsating in the same rhythm, it is difficult to understand it.